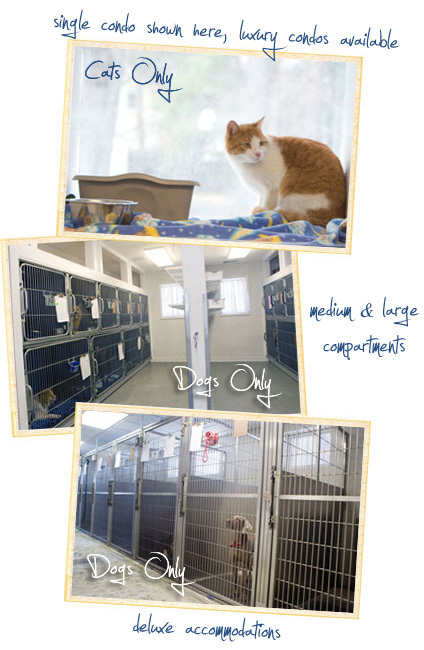 Your pet is always welcome to stay in our spacious boarding facility! Our boarding and hospitalization areas are temperature-controlled and allow your pet to play, relax and recover in absolute comfort. While staying with us, your pet receives plenty of attention and affection from our caring staff members. Dogs are walked twice a day and extra walks may be added for a small additional charge. Pets receive plenty of play time in our large walking yard and are provided with a comfortable area to rest and relax. Pet guests receive a combination of canned and dry Wysong™ brand pet food during their stay. If your pet has special dietary needs, we are glad to make accommodations. You also may bring your pet's own food from home. We encourage you to bring your pet's belongings (bed, toys, and treats) as well, as these items will make your pet feel at home. If you have any questions, please don't hesitate to contact our office at 845-876-6008. **Completion of the Boarding Intake Form does NOT guarantee a reservation. To make a reservation for your pet, please contact us by phone at 845-876-6008 OR by e-mail at [email protected]. **If your pet is overdue for any of the required vaccines, we can vaccinate your pet during check-in for a small additional fee. A grooming session doesn't just keep your pet looking and feeling great - grooming yields many health benefits for your pet as well. 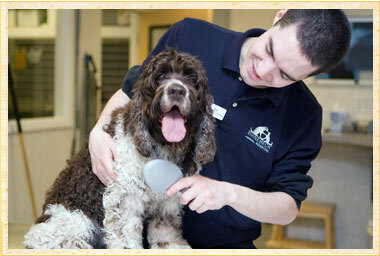 The expert grooming staff at Rhinebeck Animal Hospital has many years of experience grooming both dogs and cats. 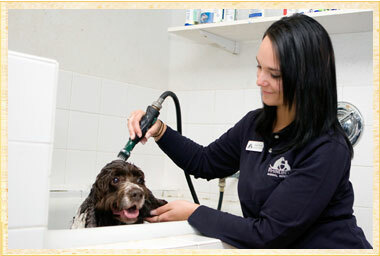 We offer baths, shave downs and nail trims as part of our grooming packages. All grooming guests must be current with vaccinations. Grooming sessions are conducted during regular hospital hours; however, we recommend you drop your pet off early in the morning if he or she has a grooming appointment. Please call us at 845-876-6008 to schedule an appointment.